How do you create and edit your documents? Manage your customer communication in conformance with the compliance regulations, interactively and collaboratively and on a rights and role basis. With the Infinica Process Designer, you can draw up your individual processes for document composition and create personalized quotations, forms, contracts, documents, emails and other content you require for customer communication. Make it easier for your customers to do business with you: using interactive and process-controlled quotations, contracts, documents and forms. Infinica also provides support for a wide variety of digital signature subtypes out-of-the-box. Enable employees who are in contact with customers – whether they are working in sales, a call centre or as consultants – to create legally secure customer communications, which are in line with the corporate identity and marketing requirements, on and for any type of device. Deploy the most modern and efficient processes available for customer communications and customer self-service scenarios. 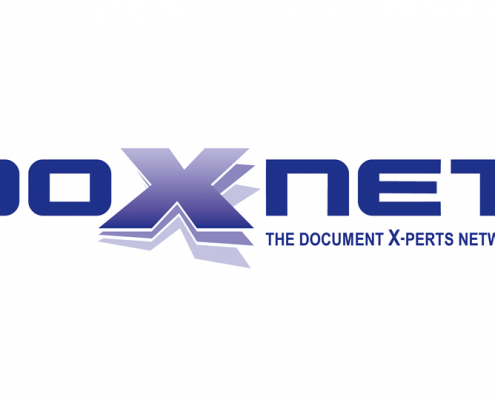 Infinica - Specialist for Customer Communication Management and Document Composition invites to visit our booth at the conference DOXNET. 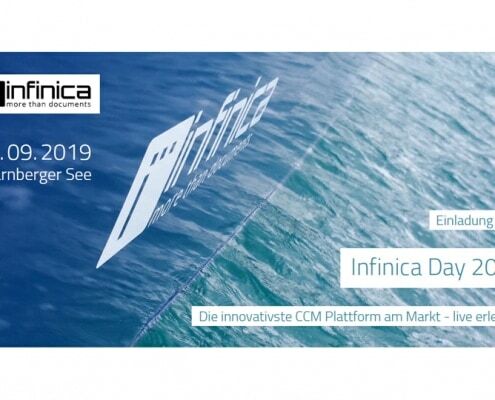 This year's Infinica Day on September 17th at Lake Starnberg will entice you with a multitude of exciting lectures and an attractive supporting program!